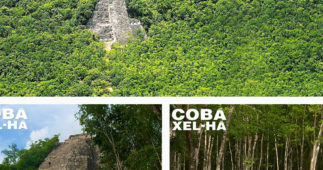 SKU: Coba and Xel-Ha Tour. 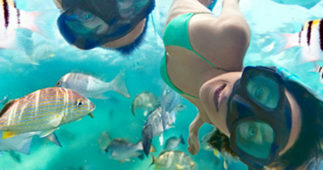 Categories: Affordable Eco Tours In Cancun. 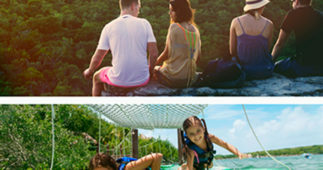 This Riviera Maya tour is the perfect opportunity to not only see the culturally rich Mayan ruins of Coba, but also experience the exquisitely beautiful natural park Xel-Ha. 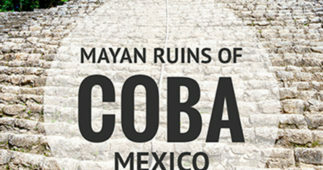 A complete day of surf and turf where you will have an incredible adventure exploring the Mayan civilization. 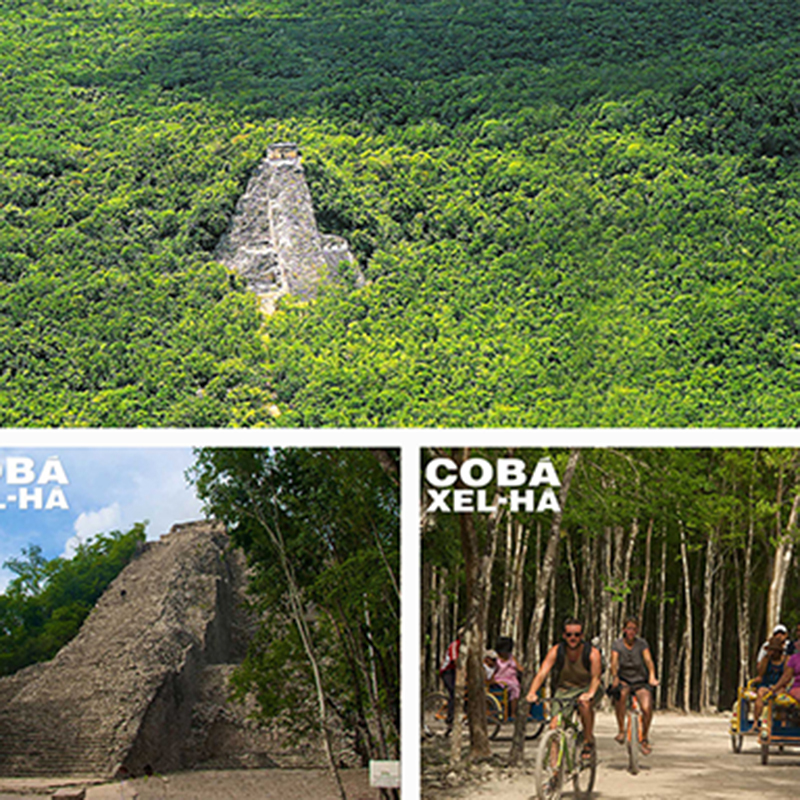 Rich in heritage and magic, the ancient Mayan city of Coba houses the highest pyramid in Mexico. After exploring and finding out why this secret place has been considered the only Mayan Civilization reserved exclusively for kings and priests, bask in the crystal clear Caribbean Sea surrounded by colorful tropical fish in Xel-Ha. This adventure starts with pick up at your hotel in Cancun or The Riviera Maya. 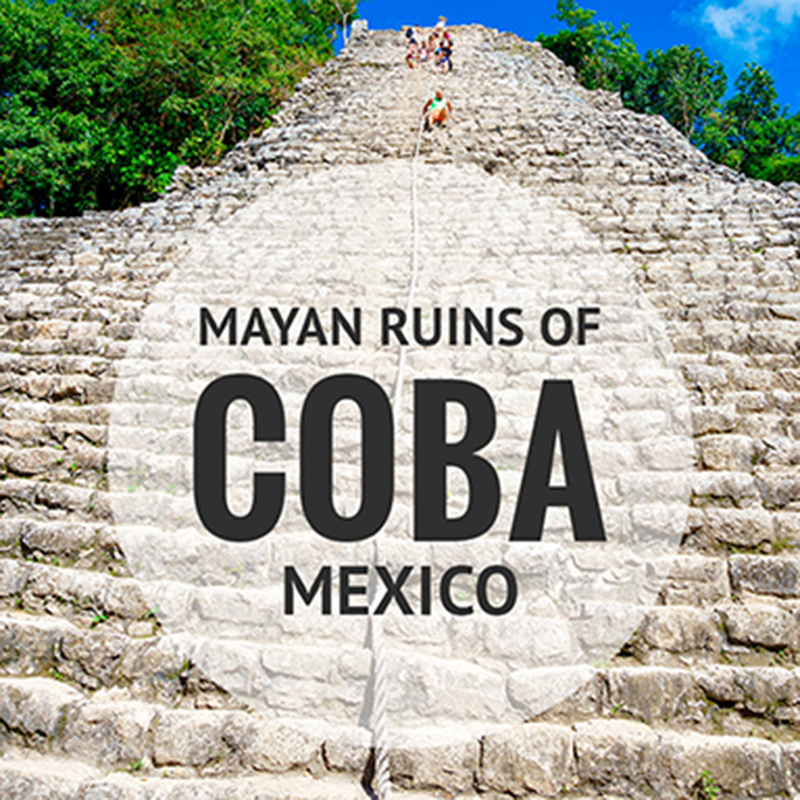 The first stop will be the Mayan ruins of Coba where you will receive all the pertinent information from a professional tour guide who has extensive knowledge about this magical place. In this archaeological Mayan site you can climb the tallest pyramid in the area, and take in the picture perfect scenery of the lush Mayan jungle that surrounds the city of Coba. 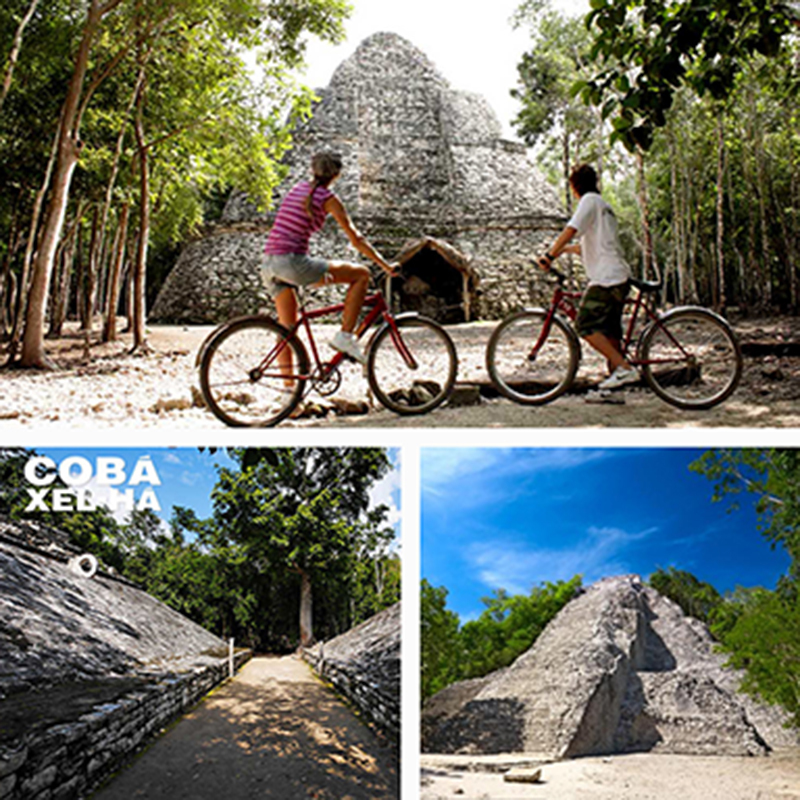 Once you have finished visiting Coba you will be taken to the wonderful natural Riviera Maya Park of Xel-Ha where you will have the chance to enjoy a full breakfast buffet, and snorkel in the largest natural aquarium in the world. 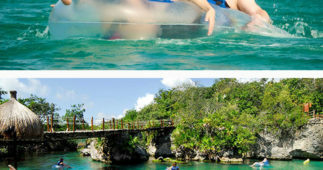 If this wasn’t enough, you will also have the chance to enjoy some other fun activities such as a bicycle tour, a natural lazy river, a Children’s Playground, the Chacas Garden, the Cliff of Courage, a Rope Swing, a Floating bridge, as well as the “Trepachanga” where you can test your agility on this unique tightrope. 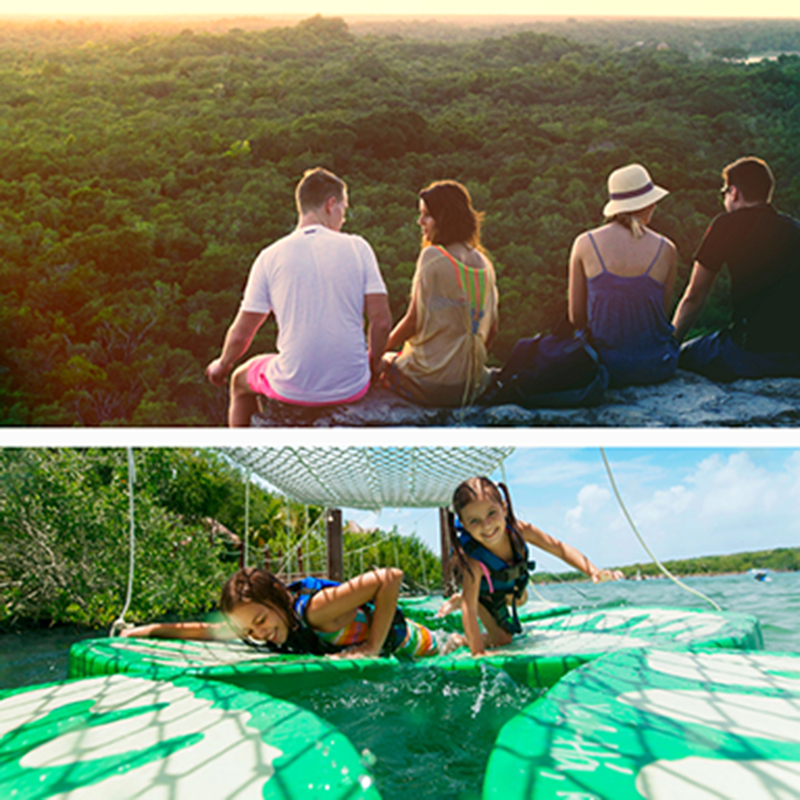 There is something for everyone in Xel-Ha. Xel-Há is one of the most amazing attractions in Cancun and Riviera Maya. 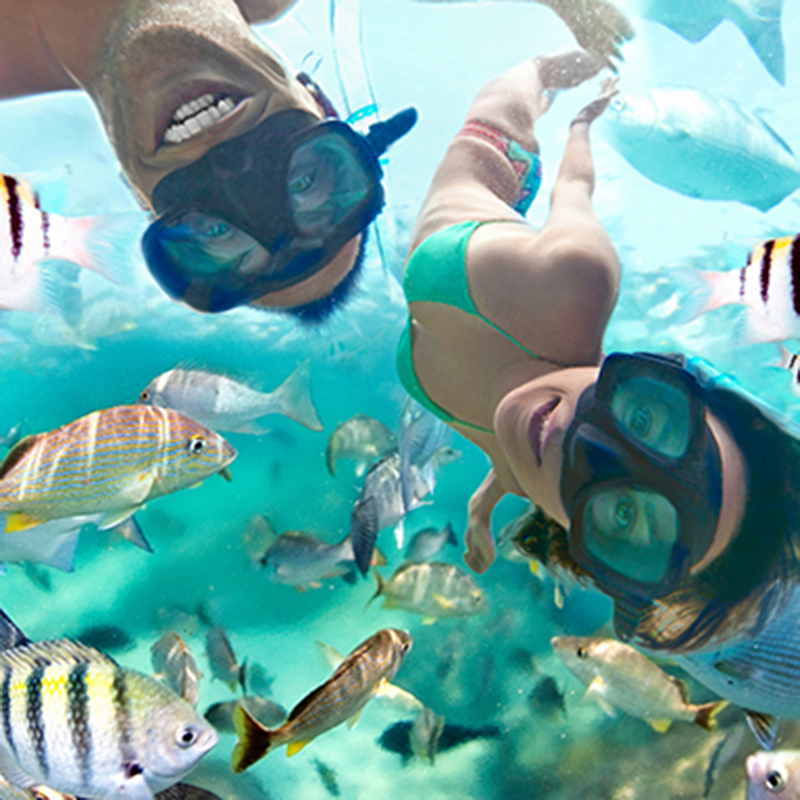 This park is the largest natural aquarium in the world, and it is the perfect place to perform different activities, such as snorkeling, floating on inner tubes, bike tour, swim with the dolphins, sea trek walking under water, zip lines, rope course, rock climbing and more. Children between the ages of 5 and 11 get 50% off adult ticket price. Important information: Children ages 0 to 4 cannot occupy a seat on the bus. Transportation during the tour may be made on a van or a luxury bus depending on the operation.